On Wednesday 29th. 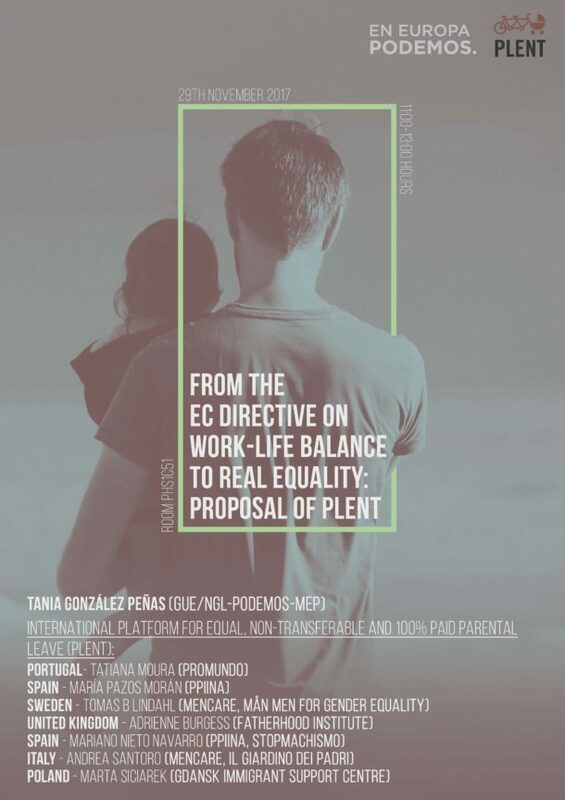 of November, 2017, a public talk will take place at the European Parliament in Brussels to discuss the new Directive Proposal on parental leaves (“work-life balance”) -that has been recently announced by the European Commission- and to advocate for the PLENT proposal of a unique Directive of Equal, Non Transferable and 100% Paid Parental Leave. 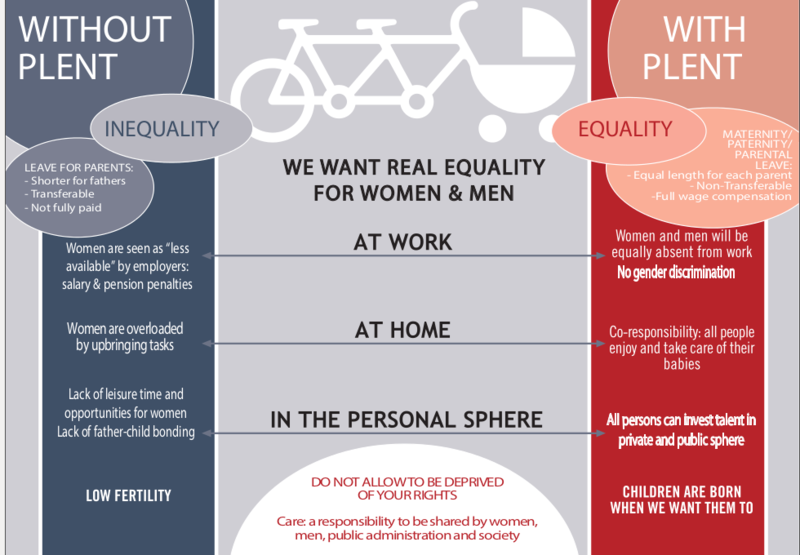 PLENT representatives and MEPs of the different political groups at the FEMM (gender equality) and EMPL (employment) parliamentary commissions will participate to provide their insight on the subject. This meeting at the European Parliament is facilitated by the GUE/NGL Parliamentary group. Tagged European Directive, PLENT News. Bookmark the permalink.